There are NOT for everybody’s taste – they are messy, grungy and grainy loops harvested from “Vintage AV Plug n Play” sessions using equipment from the 1980’s and 1990’s such as Fairlight Computer Video Instruments (CVIs), the Panasonic WJ-AVE7 and feedback from an analogue Panasonic video camera on a Commodore monitor. The Fairlight CVI was developed in Australia in 1984 and was used by early live-AV artists such as Severed Heads. That’s right, Fairlight — better known for their high-end sampler/workstation, the Fairlight CMI, credited by some as the first commercial sampler — also made video equipment. And if there’s one thing we love at CDM, it’s talented Australians. 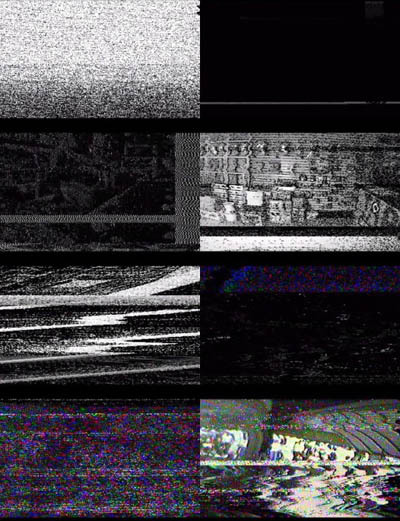 The footage raises an interesting question: whether tis nobler to use actual glitchy footage in your set, or build your own. 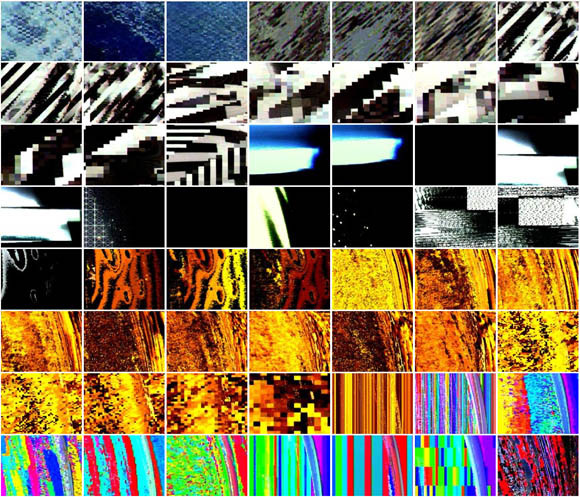 Our friend Anton Marini (vade) has done some beautiful work making his own glitch patches in Max/MSP/Jitter. (More similar glitchy stuff elsewhere on his site, too.) This is entirely synthetic. Even if you’re not into glitch, it’s a fascinating learning experience to deconstruct the look of it and figure out how it’s put together. Updated: Yes, speaking of glitch, this is not actually synthetic — see comments from vade. He has done some really beautiful — and uniquely digital — glitching in other projects, though. More on that soon. Also in the free loops category: Holly Daggers’ free loops on wetcircuit.com, including some beautiful footage she shot of steam coming out of smokestacks near her new Queens studio. This gets me thinking, though: anyone else got access to a Fairlight CVI or other vintage equipment? We’d love to hear about. Heck, I’d love to come to your studio and visit it personally.